Welcome to the inaugural episode of Reel Education: Noir! 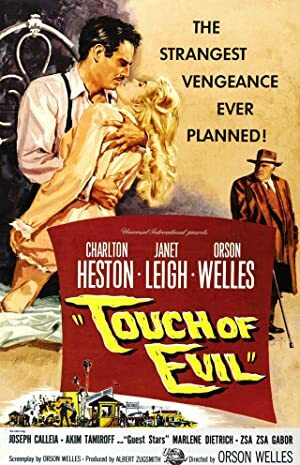 Since A Reel Education has already covered several of the basics like Sunset Boulevard and Double Indemnity, we have begun our dark odyssey with Orson Welles’ Touch of Evil. If you are unfamiliar with the Reel Education structure, here’s the deal: we will first briefly discuss the film, then stop the podcast and watch it. (At this point, feel free to pause the podcast and watch the film yourself!) Then we return and discuss our reactions and some of the history behind the film. 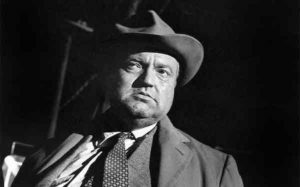 We hope you enjoy our stroll down the dark alleys of film history! A Reel Education: Noir will post on the 7th and 21st of every month, so we will next see you on June 7th! Plot: A stark, perverse story of murder, kidnapping, and police corruption in a Mexican border town.